Native to the south-eastern USA. 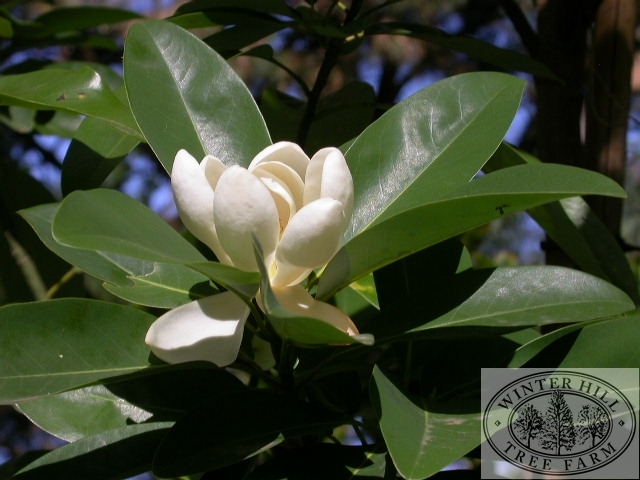 Attractive magnolia, semi-deciduous in a cold climate and evergreen in areas with warmer winters. 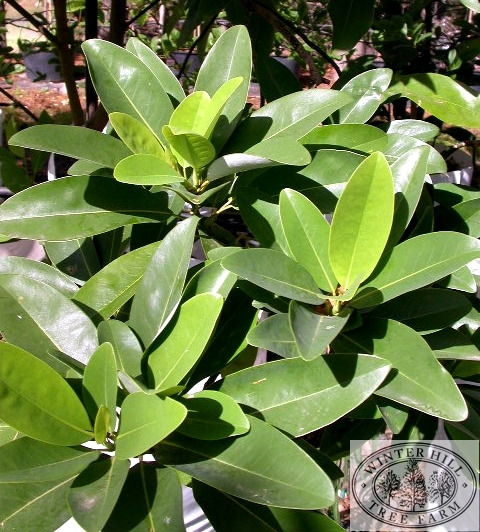 Soft grey/green leaves with a silvery underside, small white perfumed flowers in mid-spring and sporadically throughout summer. Full sun to part shade. Variable height depending on available moisture, 5-15m.